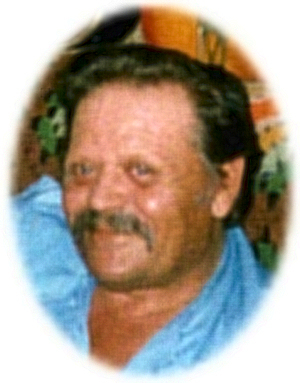 Obituary – Hoggatt, Jimmie G. « Perry High School Alumni Association, Inc.
Obituary – Hoggatt, Jimmie G.
Jim Hoggatt, 63, of Perry, Oklahoma, was the son of Lawrence Gordon and Opal Hyde Hoggatt. He was born July 26, 1941 at Perry, Oklahoma and died Friday, January 7, 2005 at Perry Memorial Hospital in Perry, Oklahoma. Jim was a rancher and welder. He enjoyed the outdoors, hunting and fishing. Memorial services will be at 2:00 p.m. Tuesday, January 11, 2005 at the First Christian Church in Perry. Rev. Martin Foster will officiate. Jim is survived by two sons, Jim Hoggatt and his wife, Kim, of Ripley, Oklahoma and Larry Hoggatt and his wife, Jennice, of Orlando, Oklahoma; one daughter, Tammy Vance, of Perry, Oklahoma; one sister, Peggy Murch, and her husband, Don; and 13 grandchildren. His parents, Lawrence and Opal Hoggatt, brother, Johnny Hoggatt, and granddaughter, Christian Paige Vance, preceded him in death.